This recipe is one of the easiest and quick to make. I generally make this in when I am in hurry or not to in mode to make lavish breakfast. 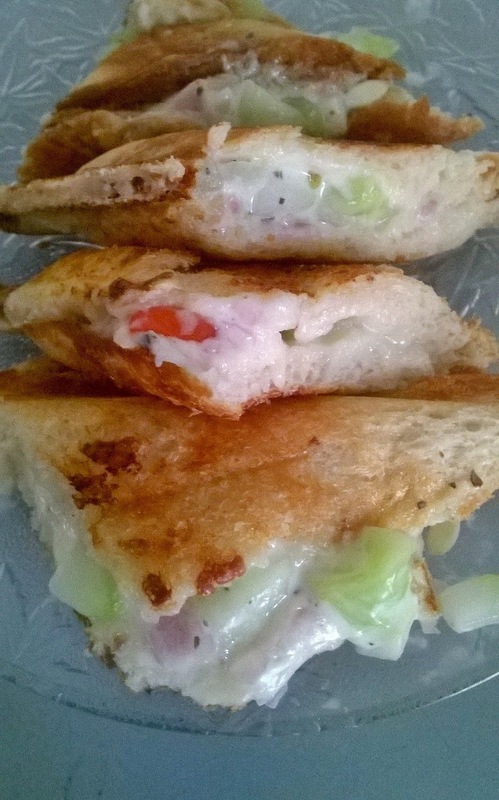 In this recipe I used both cheese spread and cheese slice. 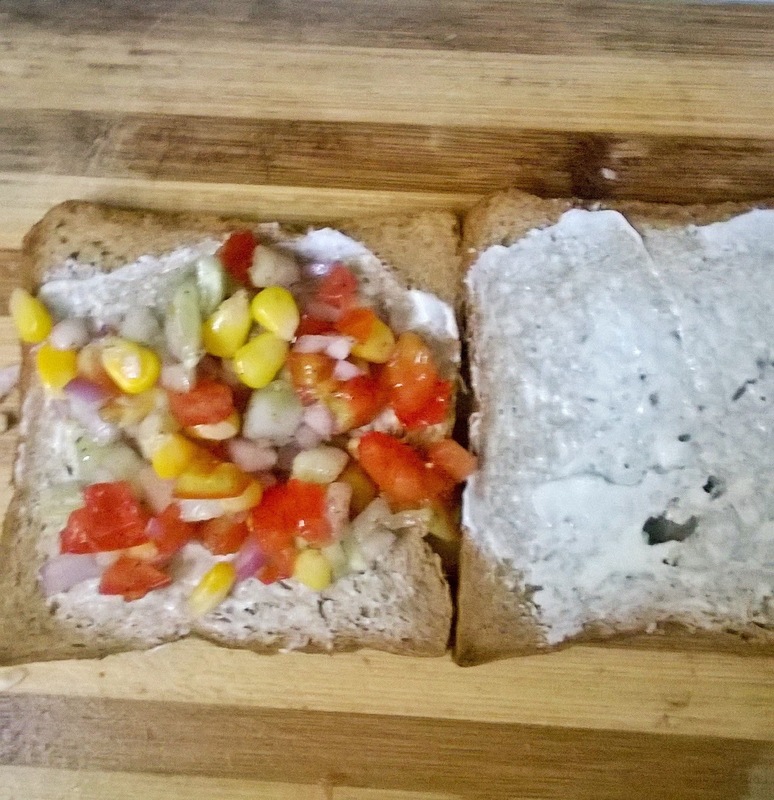 If you don't have cheese spread you can substitute with mayonnaise. It gives good binding to vegetables inside. You can use either cheese slice or mozzarella cheese depending on the availability and taste. 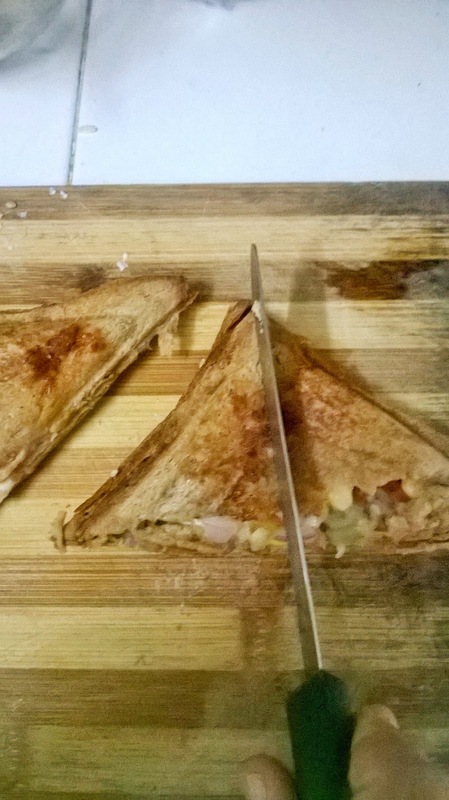 I prefer cheese slice as it gives more of liquid cheese flavour, which my kids love. I made this sandwich in sandwich maker, if you wish you can use normal tawa/pan or grilled tawa/pan. 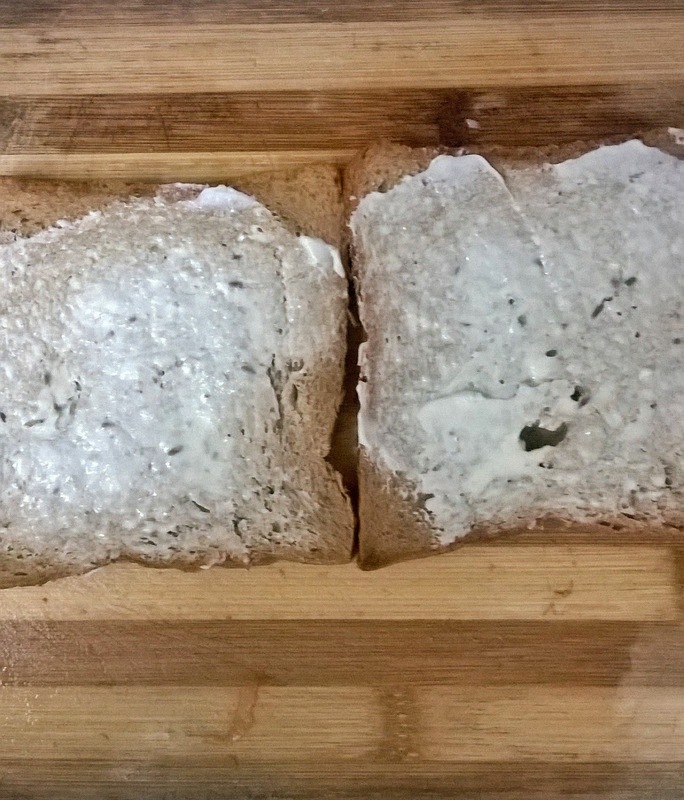 If you are using either of them, spread softened butter generously on both the bread slices. 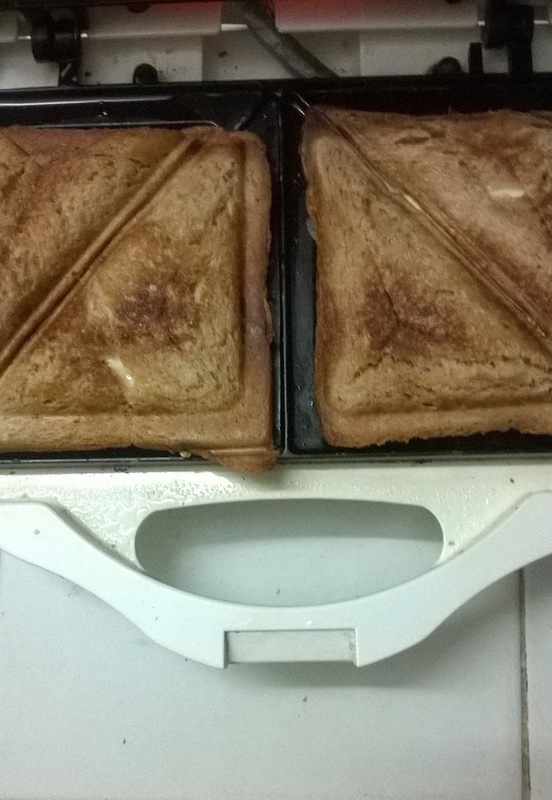 Heat pan and toast till golden in colour. Cut into desired shape and serve. 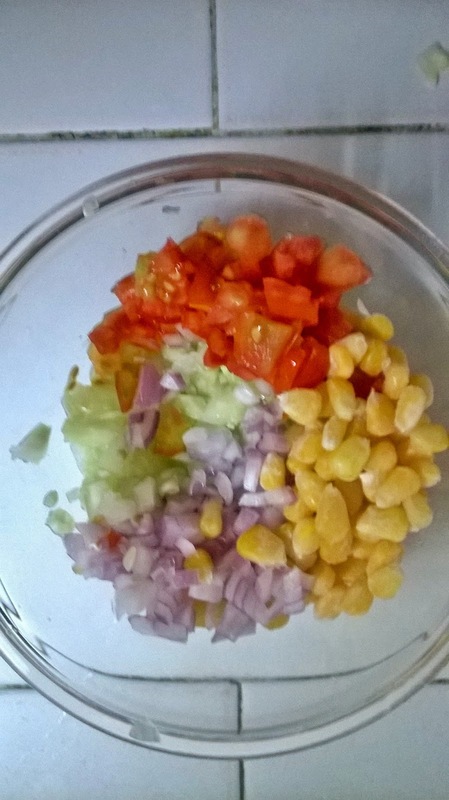 In a bowl, mix cucumber, onions, tomato and corn. Add salt, pepper and chaat masala. Take bread slice, put cheese spread on all the slices. Put 2 tbsp veggie mix over it. 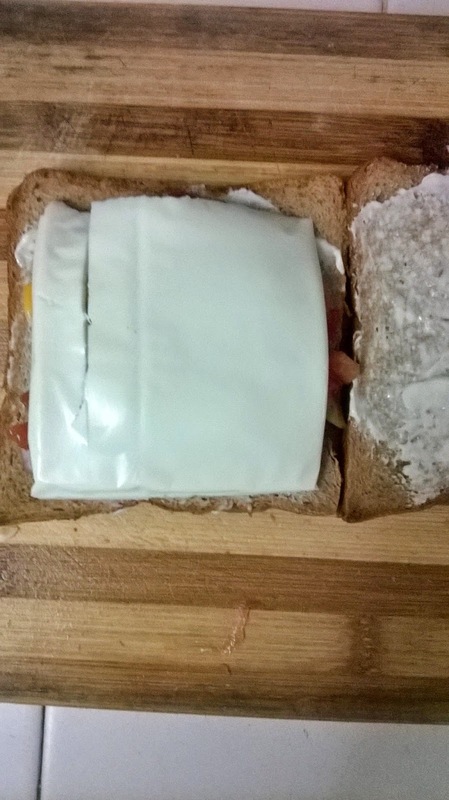 Put one or half cheese slice on top and cover with other bread slice. 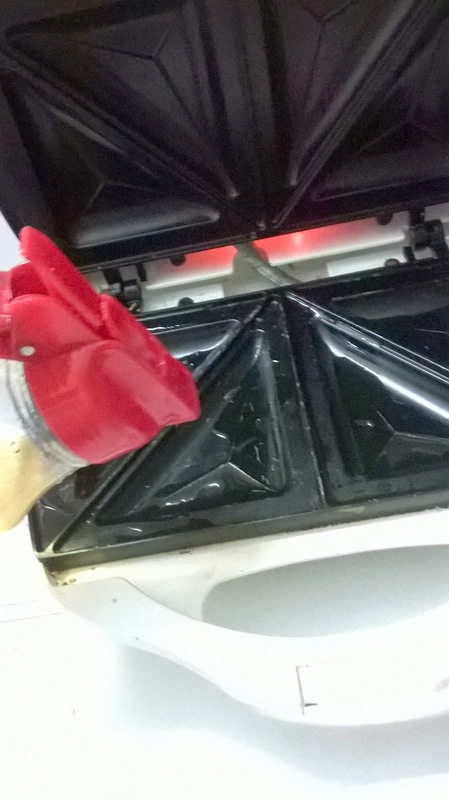 Grease sandwich maker with little oil. Keep the bread slices in it and toast for 3-4 minutes. Power on the sandwich maker at least 2 minutes prior putting bread in it, for quick and better results. 1. 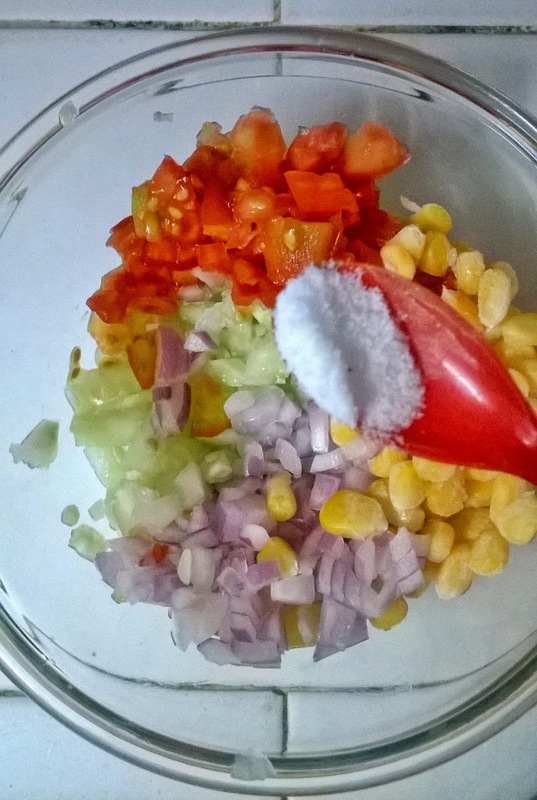 Mix cucumber, tomato, onion and corn in a bowl. 2. 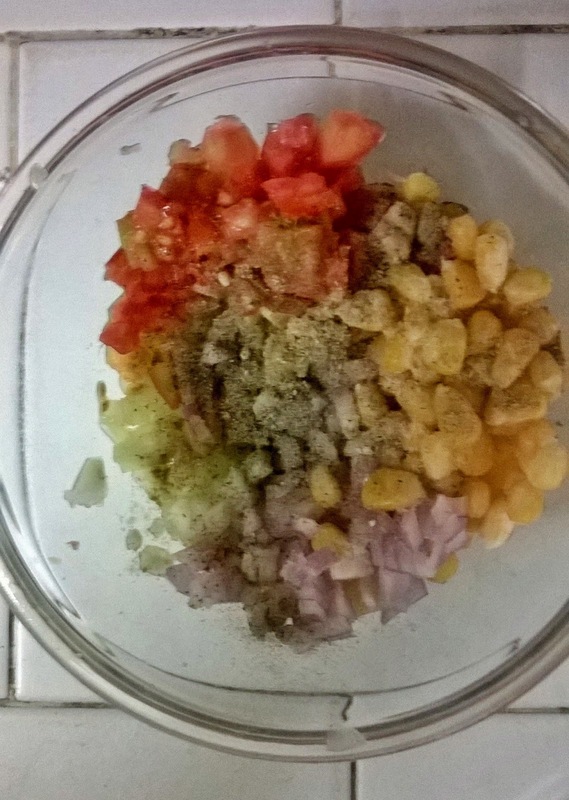 Add salt, pepper and chaat masala. 3. Mix all the seasoning well. 4. 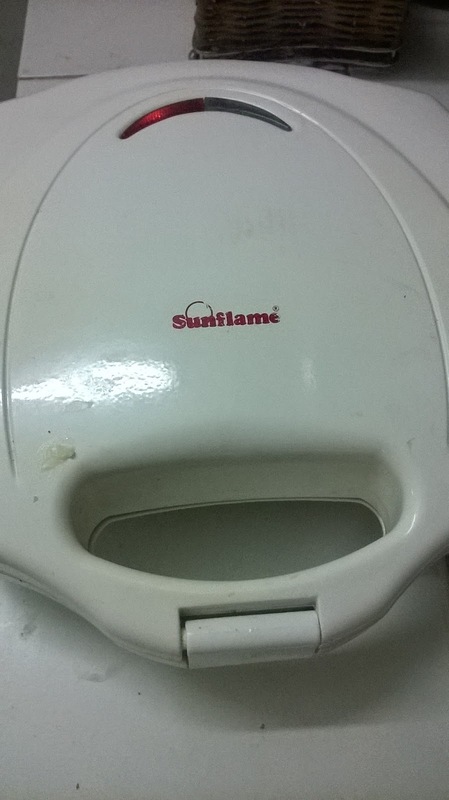 Grease sandwich maker with oil. 5. Put cheese spread on bread slices. 6. 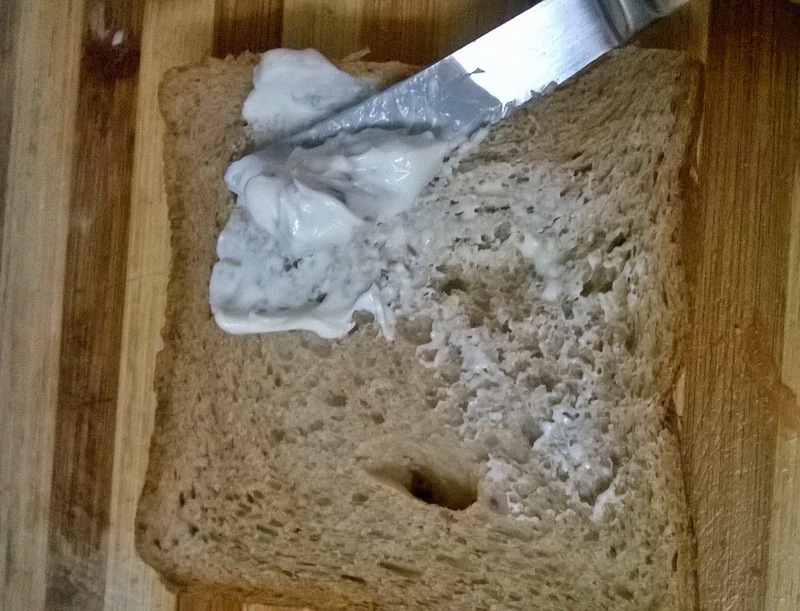 Bread slice with cheese spread over it. 7. Top it with veggies. 8. Keep cheese slice on veggies. 9. 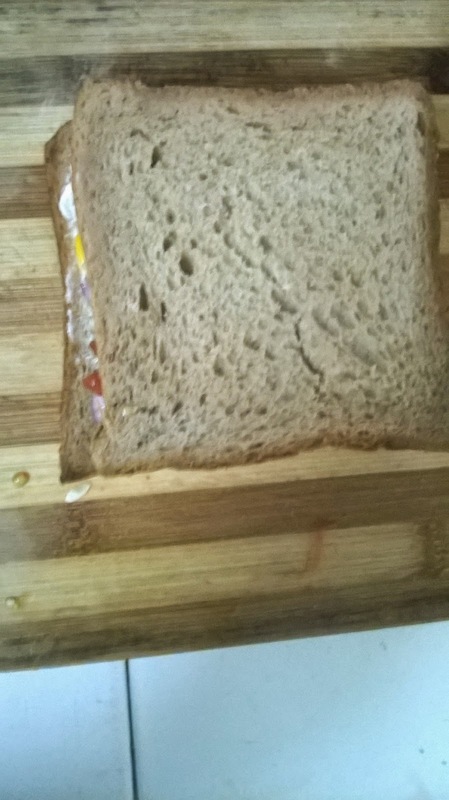 Close it with other bread slice. 10. Keep it in sandwich maker and close it and toast it for 3-4 minutes. 12. Take out and cut it into half. 13. Serve it with sauce.